Unexploded Ordnance [UXO] risk management specialists, Fellows International Limited, have completed a project in support of the development programme at the Daedalus site in Lee-on-the-Solent. The project finished on Friday 13th and allows the ongoing development of the former military site. In the early years of World War II, explosive pipe-mines were buried under the runways of the former Fleet Air Arm airfield so that in the event of a German invasion, the mines could be remotely detonated and the runways rendered useless to the invading forces. In 2006 a military operation was conducted to locate and render safe the items and subsequently, five pipe mines were destroyed as part of a project to remove pipe bombs from the former airfield. Due to the existing UXO risk from remaining pipe-mines and other military ordnance, investigation into potential UXO risk was deemed necessary by the local planning authority in order for development work to continue. Fellows conducted the initial desk-based phase of this investigation and upon completion, assessed the site as being at possible risk. Subsequently, Fellows provided UXO Engineers to the site during several different parts of the development. On certain parts of the airfield, Fellows were able to conduct non-intrusive surveys to detect buried items and in other areas provided UXO Engineers as a ‘Watching Brief’ to oversee shallow excavation work and maintain the UXO risk to ALARP. Over a two-year period, Fellows worked with various development contractors. The survey information acquired will inform future design work and has been passed to the planning authorities via the developers. 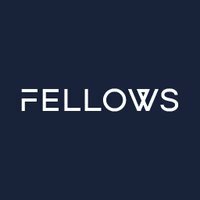 As one of the UK’s first UXO risk management companies, Fellows has been providing these services for over 2 decades. Although Fellows conduct UXO risk management work over the whole of the UK and globally, they still make a conscious effort to work within Hampshire and to support local projects. Fellows were based on the Daedalus site in the Fareham Innovation Centre for a short period, therefore the team were thrilled to work on this project.